KoreConX Portfolio Management Provides a Complete Investment and Portfolio Picture. KoreConX Portfolio Management gives companies and investors a single dashboard to effectively manage all investments, streamlining portfolio tracking and analysis, optimizing exposure management, liquidity tracking, cash flow modeling and performance reporting. Portfolio Management Provides Control Over Every Investment Made. KoreConX Portfolio Management allows oversight of all various investment types within a single dashboard for easy and effective financial monitoring. All investments are on a single, visual and easy-to-navigate platform, so various investments are easily managed, controlled, updated and monitored. 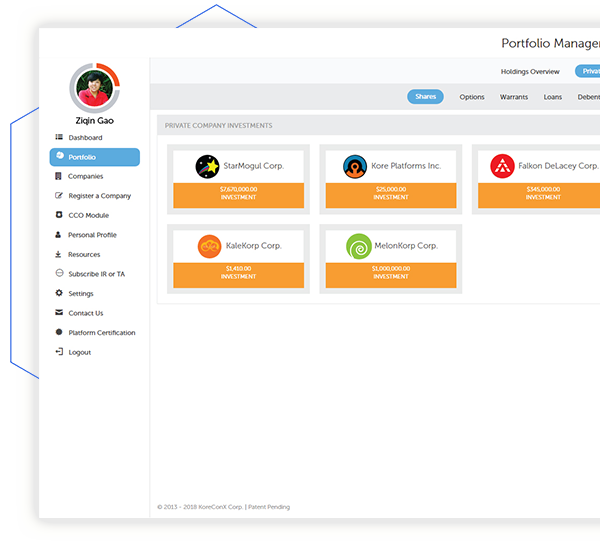 Corporate Monitoring and Decision-Making Made Easy with KoreConX’s Portfolio Management Feature. 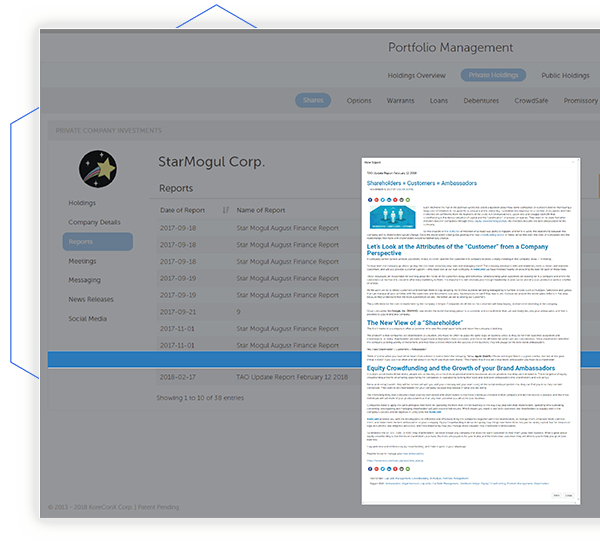 Easily monitor and stay up-to-date on all investments across different organizations and investment types. 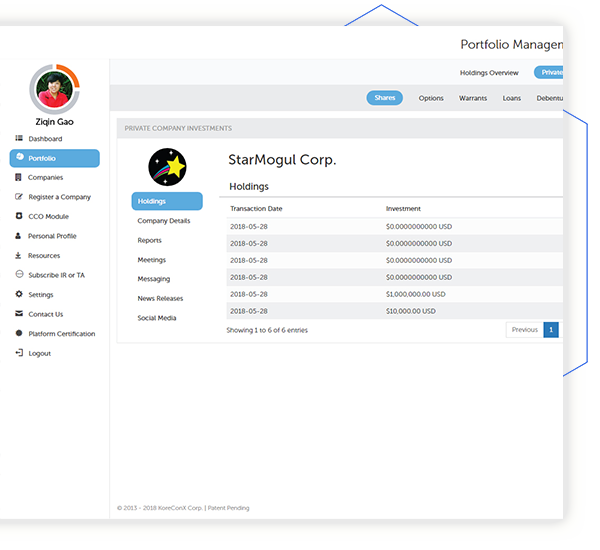 Investors are informed about all investments (shares owned), past and future company meetings and Minute Book documentation, within the KoreConX Portfolio Management dashboard feature. Investors eliminate remembering each resource provided by their portfolio companies with access critical insight and performance data. It is an all-in-one platform, which saves investors significant time and concern. Better Investing Decisions Are Made With More Company Insight. When Portfolio Management is leveraged with other KoreConX features such as Deal Room and CapTable Management, better investing decisions are made. 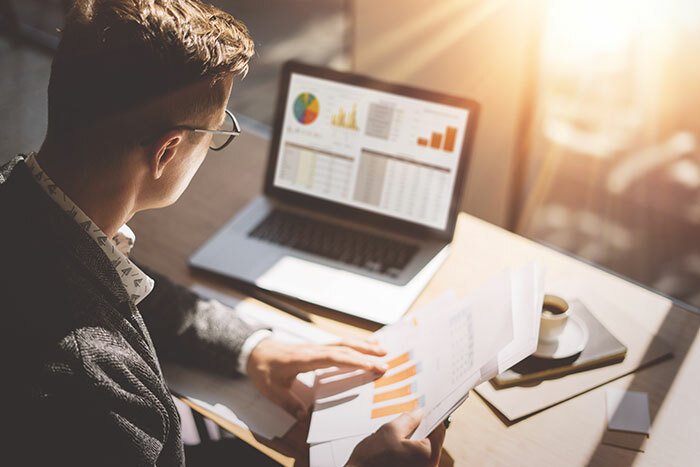 With access to strategic reports, news, valuation statements and other information the decision-making process is organized and streamlined for higher success rates. Reach out to raise capital through our connected partners, without duplicating effort. With pre-populated term sheets stating the 3rd party’s document requirements up front, only complete forms will be submitted to financing sources. Maximize opportunities to raise capital through the participating fundraising platforms listed in the Deal Room. Find investors who are looking for opportunities such as yours.